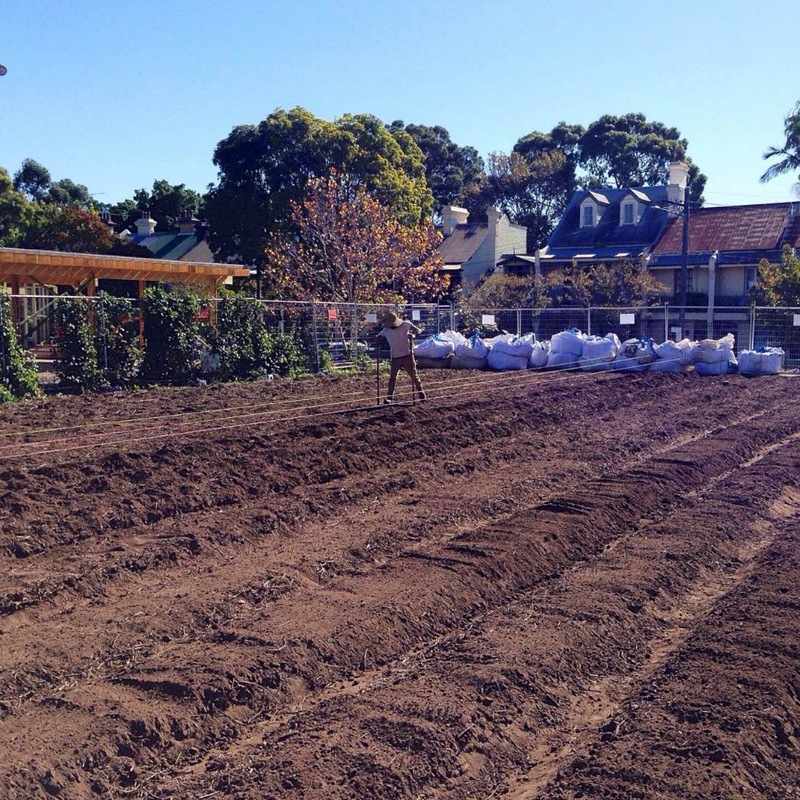 Scoring a patch of dirt to start an urban farm in Sydney is no mean feat. 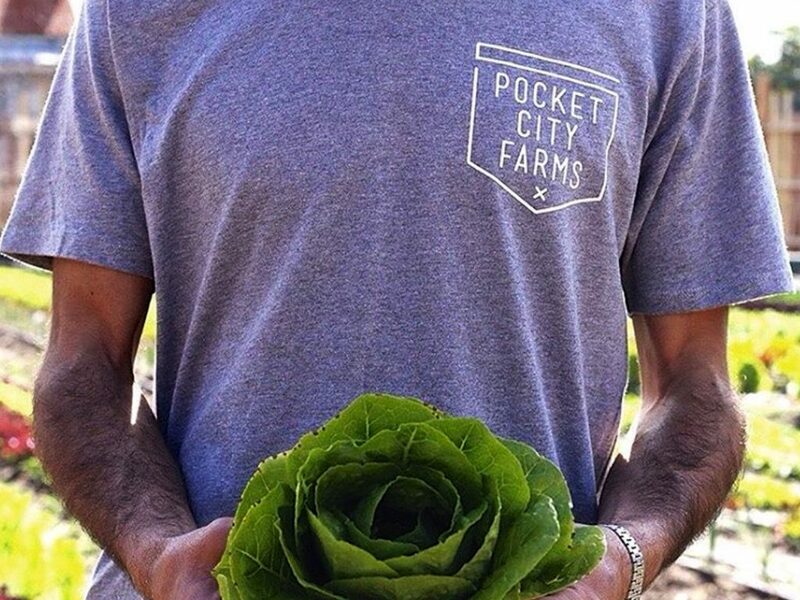 But Pocket City Farms have done it, thanks to their passion, green fingers and ability to adapt. Just the skills you need for farming. Perfect. 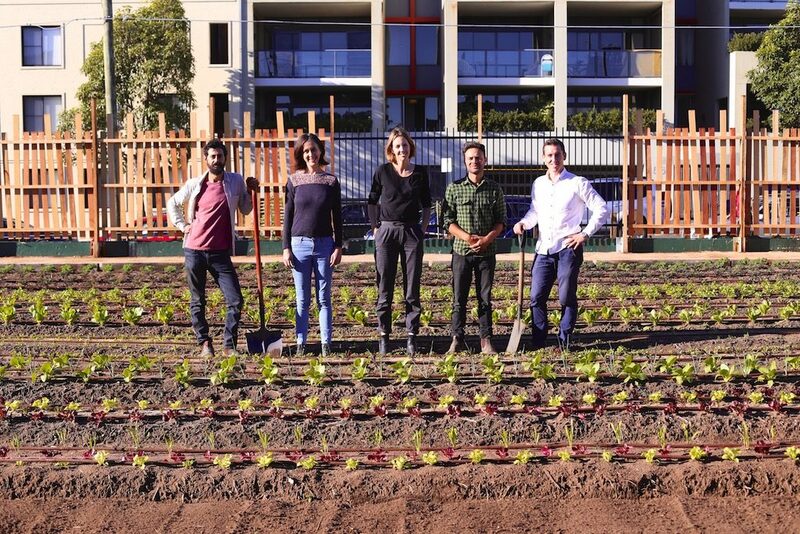 Pocket City Farms is a small group of normal folks with a big dream – to grow good clean food in inner-city Sydney, both as a livelihood and as a community tool for better living. And what a great idea that was, back in 2010 when they started the project. Except for one thing – access to space to do it. 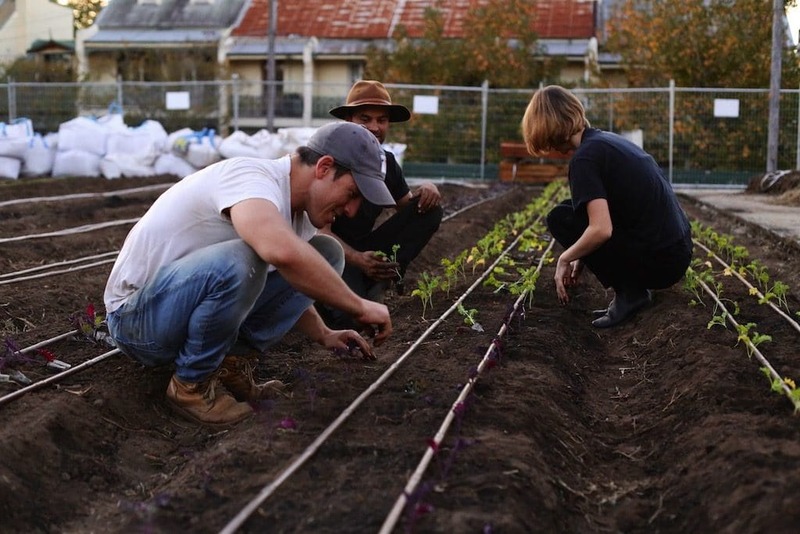 In the last 5 years Pocket City Farm crew (Michael Zagoridis, Emma Bowen, Karen Erdos, Adrian Baiada + Luke Heard) have talked to organisations, institutions, councils, corporations and land owners, trying to find their first inner-city site. There’s been a bunch of nearlys, and some maybes, and an enormous amount of goodwill. But no actual land, rooftop, or anything else. 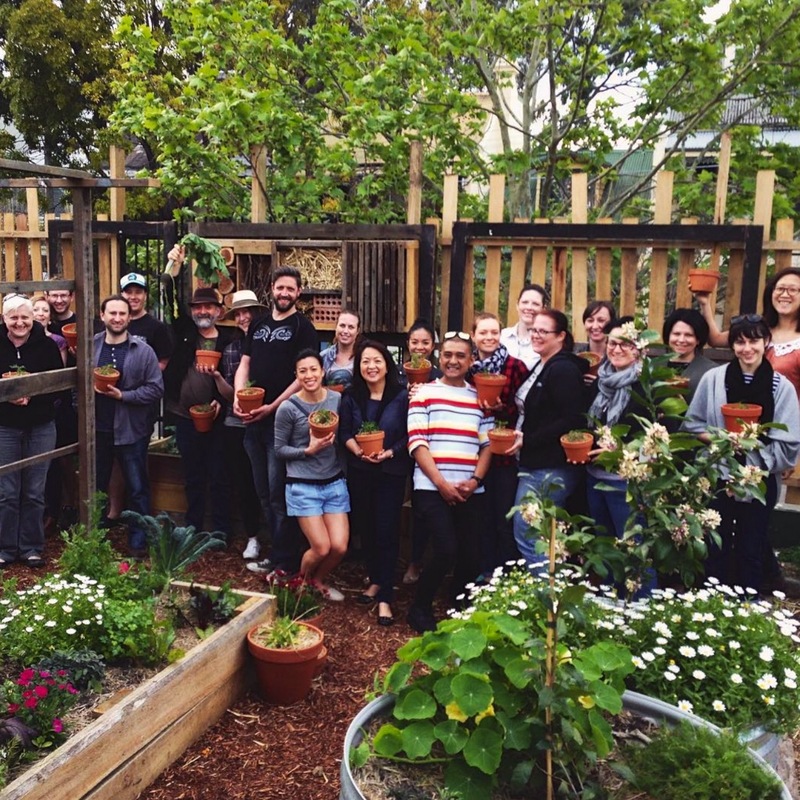 Despite being a team of professional market gardeners, entrepreneurs, architects, marketers and communicators. Yep, Sydney is a hard town if you want permanent access to outdoor space. 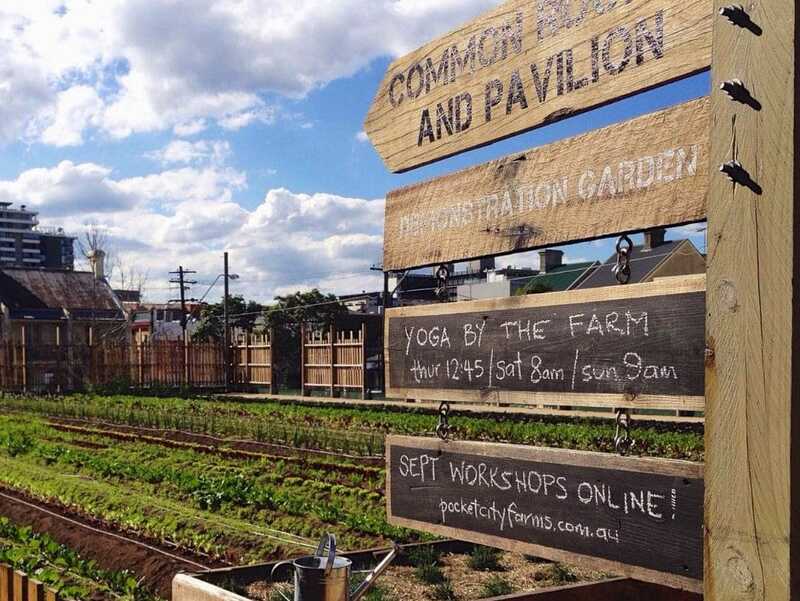 Fortunately, up came a tender for the old Camperdown Bowling Club, which Pocket City Farms went for as part of Camperdown Commons, along with Vertical Laneway who created Acre Eatery on the site. 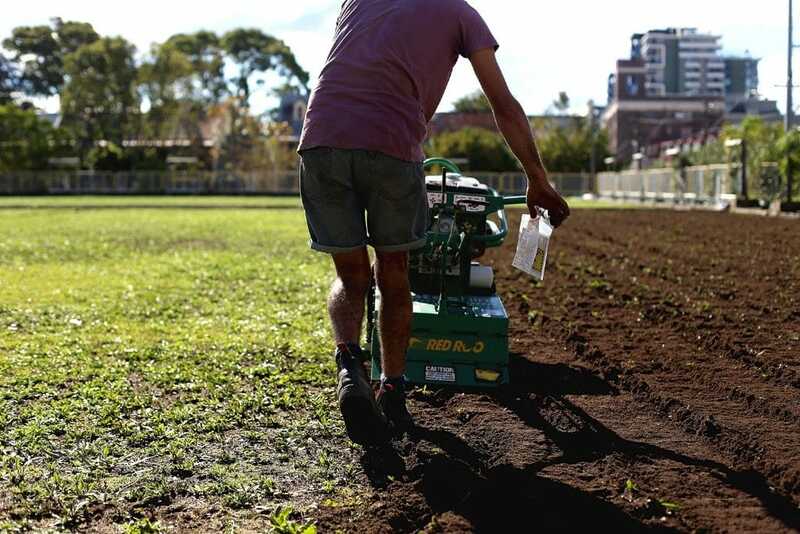 Pocket City Farms are now growing on a quarter acre of the old bowling greens, for which, fortunately, the soil tests came back clean (apart from compaction, as you’d expect on a bowling green). So it was full steam ahead. 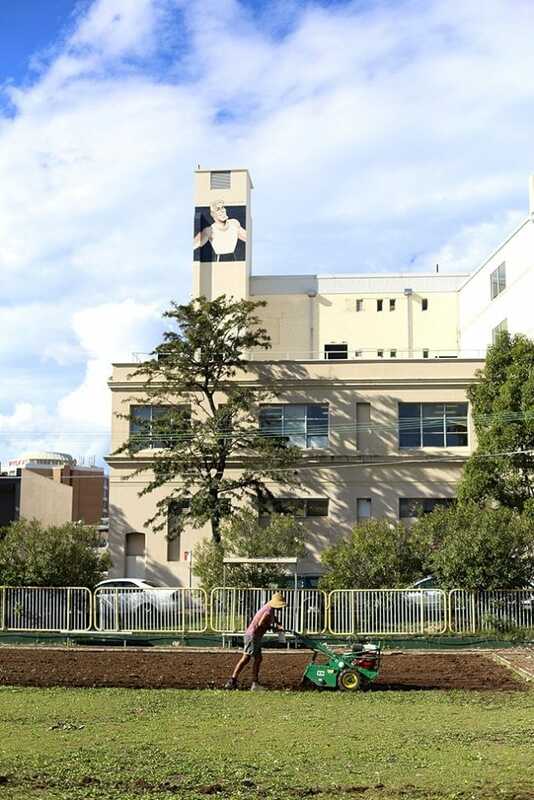 They broke ground in April 2015. 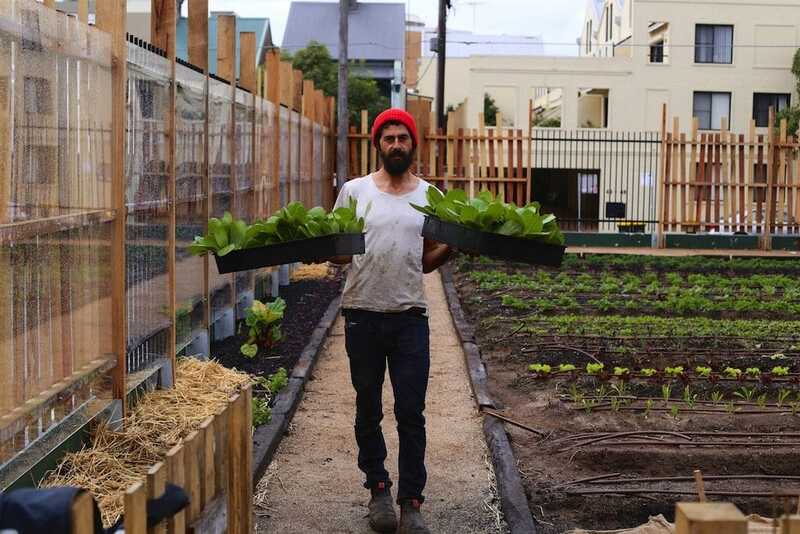 Since then, Pocket City Farms has slowly but surely bloomed into a space of good food, community, cross-pollination and vital inner-city green space. 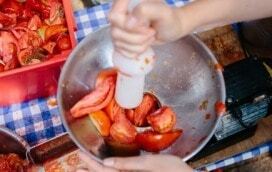 Markets: onsite farm stall, direct to onsite restaurant + some other eateries, food box schemes. So this project has been quite the labour of love, and some years in the making – how did you hang in there through the long-winded setup process? Ha who knows! 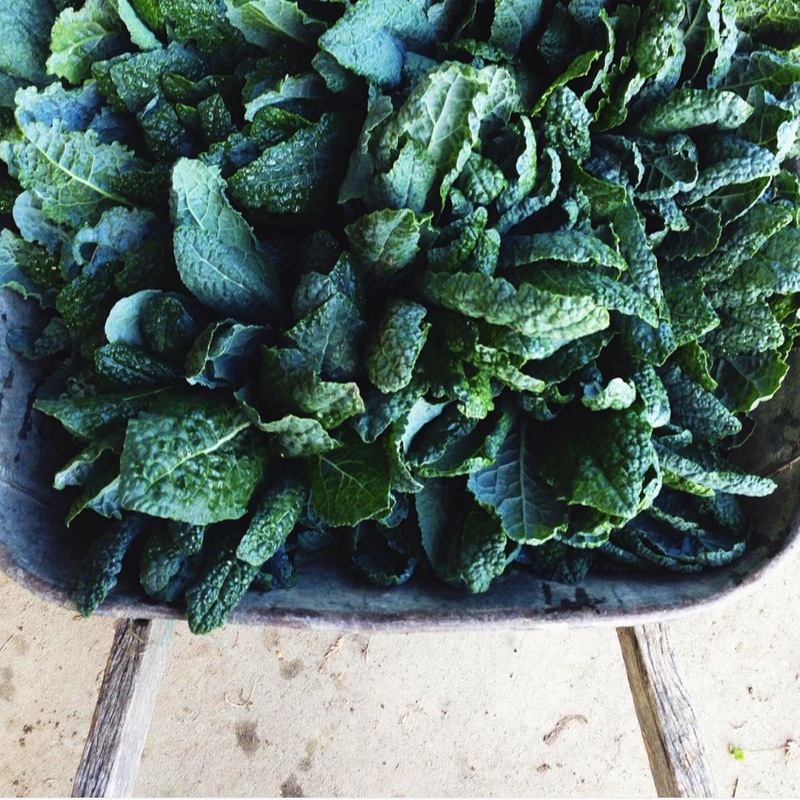 It’s been about five-and-a-half years from idea stage to actually getting a first crop in, and I think we just kept going because we always felt like we were making just enough traction – even if it was a tiny bit at a time. 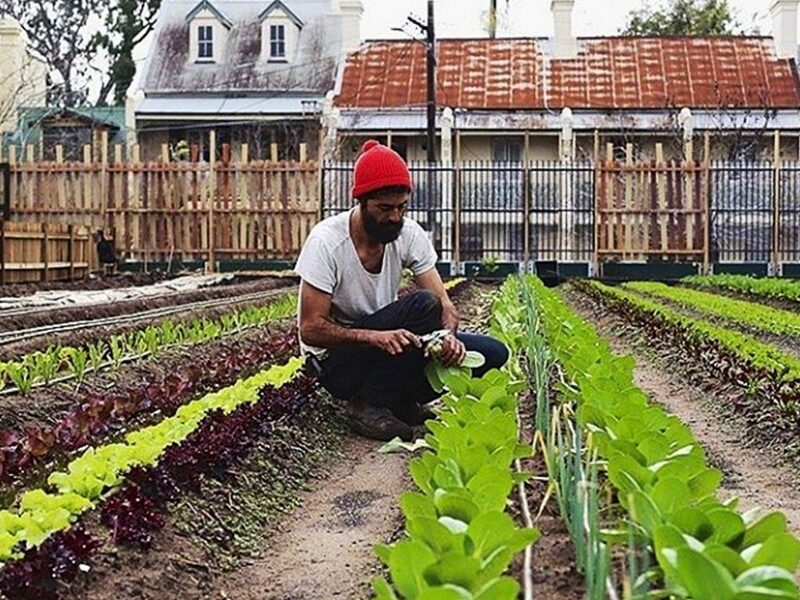 Our new farm space in Camperdown was approved for tender somewhere mid-way in that journey. 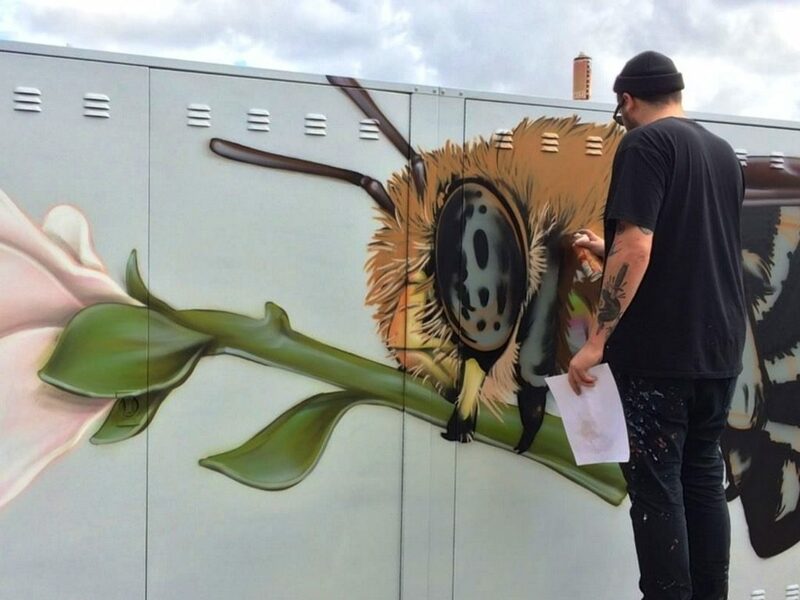 It took that length of time to work with council, local community and our collaborators at Camperdown Project to ensure the space was something that worked for everyone. Along the way too we picked up a couple of new board members to Pocket City Farms, making up our current team of five. I think each time someone joined the team it brought a new little burst of enthusiasm and energy. 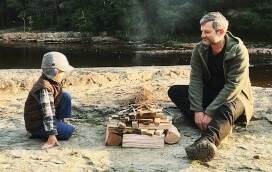 And of course, we just wanted to do it enough that we kept on going. There was always a lesson to be learnt, some knowledge to gain, or something that needed to be done, and so we just kept doing it. How do you choose what to plant, and what not to plant, in this relatively small-space context? What factors are driving your crop planning? Space is definitely limited so we do need to look at what crops bring in the best income for their space and time use. We aim to ensure a diversity of crops though too, so that our farm stall each weekend has some variety. 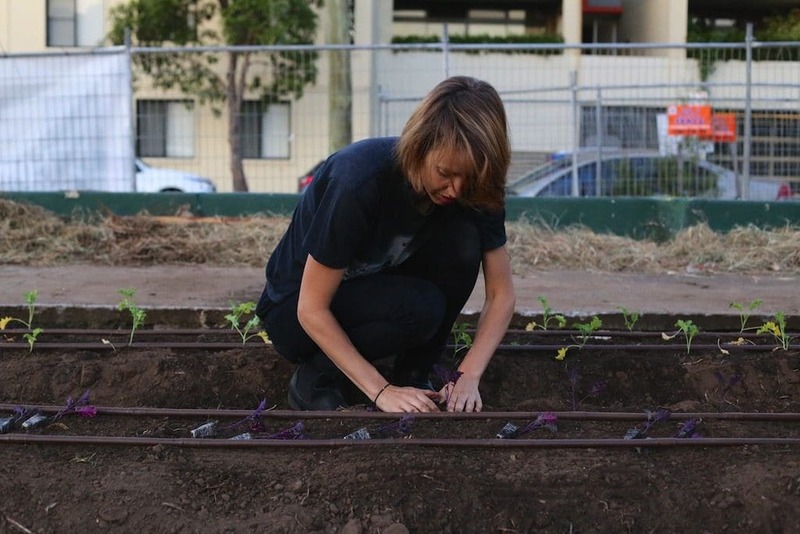 What’s growing in the community food forest, along the outer fence that borders the street? 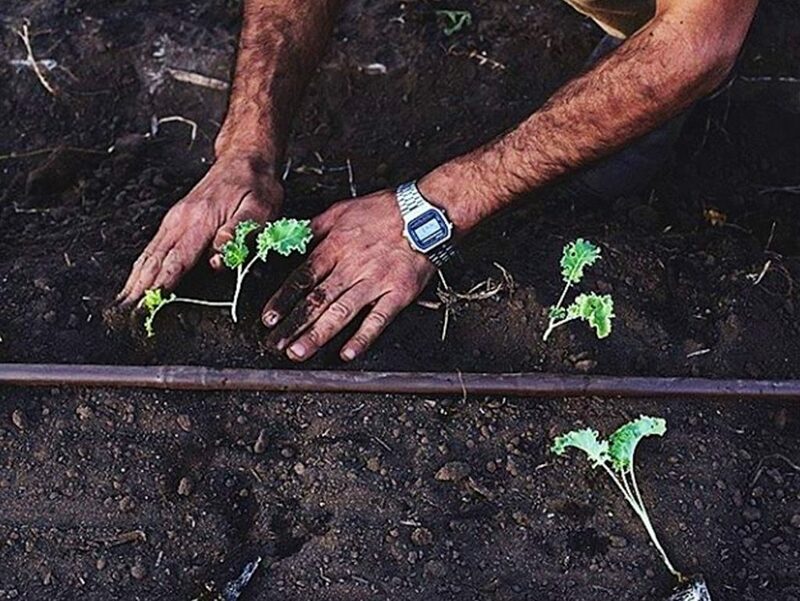 We have a range of fruit trees including citrus – orange, lemon, lime, kaffir lime, cumquat – persimmons, mulberries, pomegranate, fig, lemon myrtle, bay, macadamia, olive, native finger limes, mango and coffee. Our understory is slowly being planted out with herbs including chives, oregano, thyme, anise hyssop, rosemary, lavender, society garlic, along with some beneficials like comfrey, borage, chamomile, shrub daisies, salvias, echinacea, natives like midgen berry, saltbush and violets and soon to be planted are some strawberries, passionfruit vines, cherry guava, calendula, and whatever else we can sneak in there! The reaction and the way that the surrounding community have embraced the farm has been one of the best things about it for us. From the initial set up stage we had an amazing number of locals and not-as-local folks volunteering to help us in all parts of the process, from hauling rocks to making up beds, digging in green manure, planting the food forest, and we’re still running volunteer sessions once or twice a week with consistent demand for places. We have regulars who now come and pick up some of our produce each week and come to the yoga classes we run every week. Which is all just awesome. As is the ongoing positive feedback and locals coming up to us to thank us for starting our project in their neighbourhood. 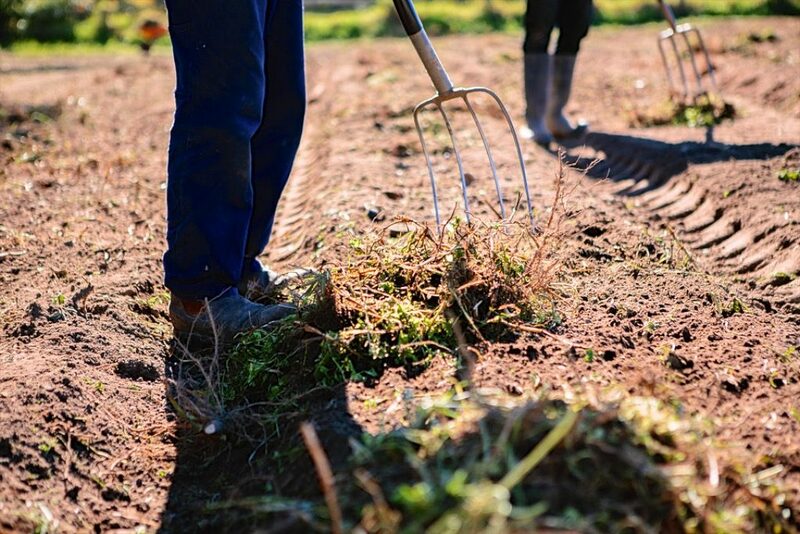 Our aim has always been for the farm to become a community hub where people come for all sorts of reasons. 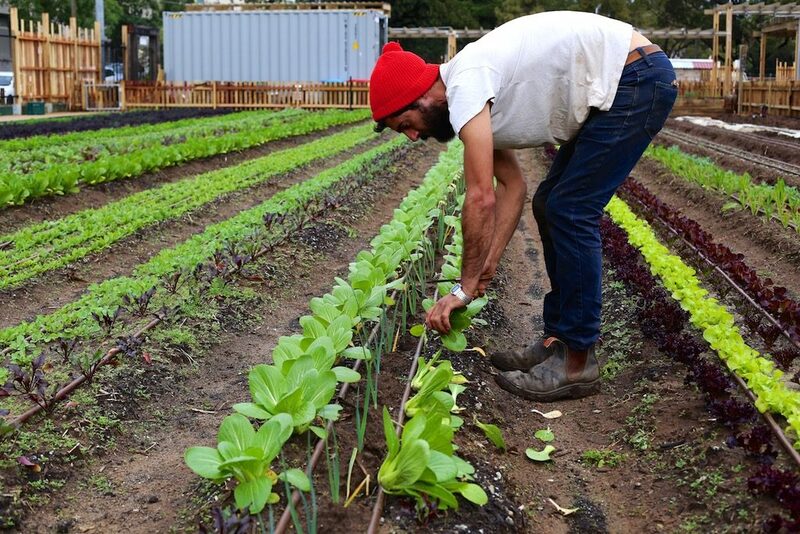 We wanted to create a place where people can interact on various levels with food being grown and maybe even gain a little more knowledge and respect for chemical-free or local food. 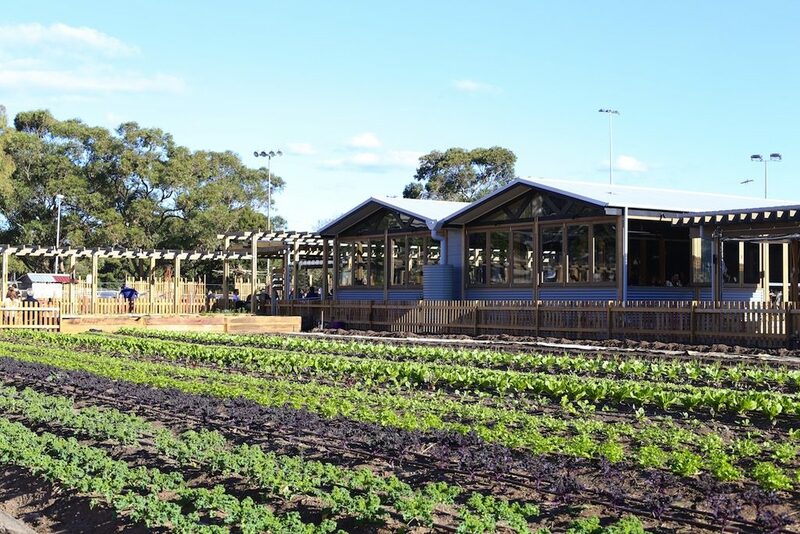 To be able to walk past on their way home and see us growing, to come visit on the weekend and buy the produce and take home to cook. 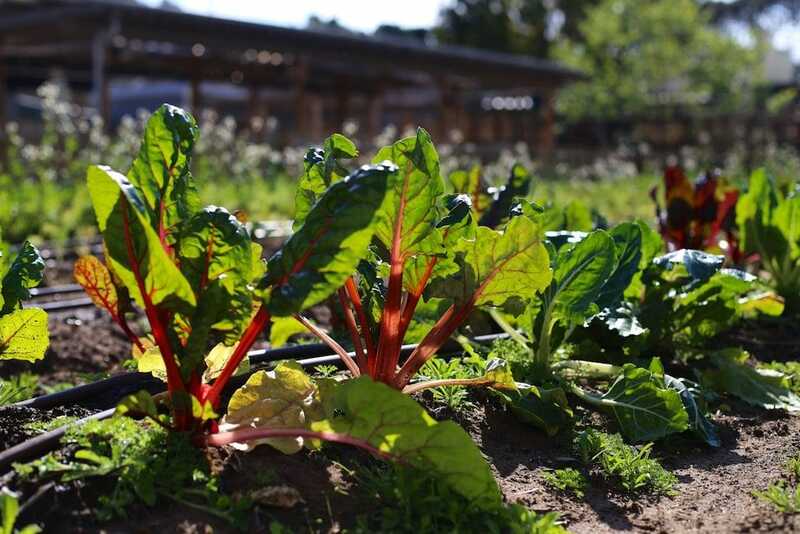 To come to one of our workshops and take home a little extra knowledge, and to pop in to ask us how to control the slugs on their rainbow chard or the like… To witness all these interactions happening already has been a huge reward. So who’s getting to eat all this yummy produce? 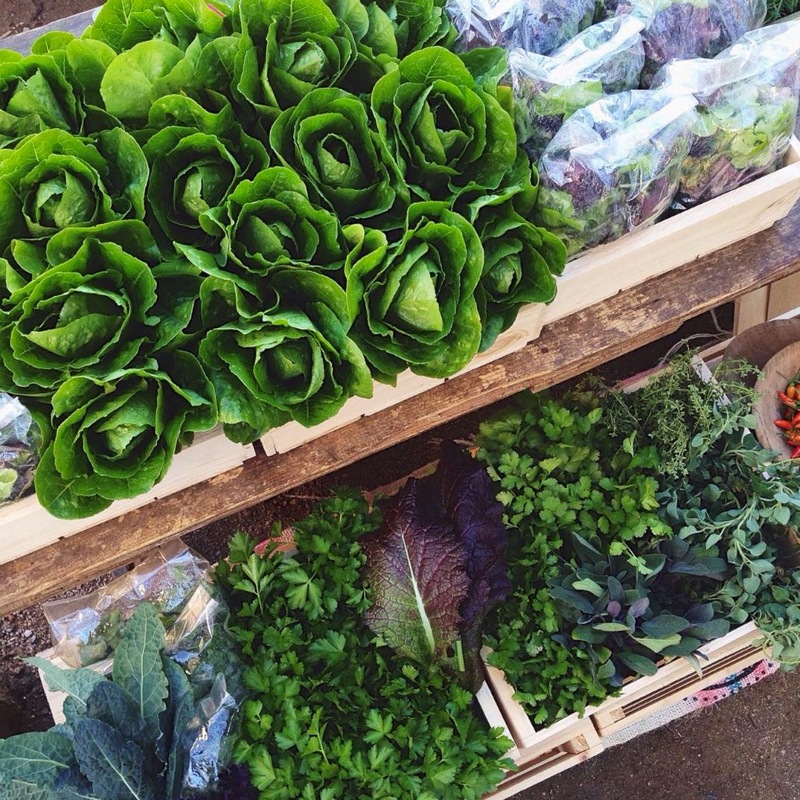 We currently have a farm gate stall selling all our produce to the local community every Saturday, with plans to extend those hours to Sunday and a few weekdays at some stage. 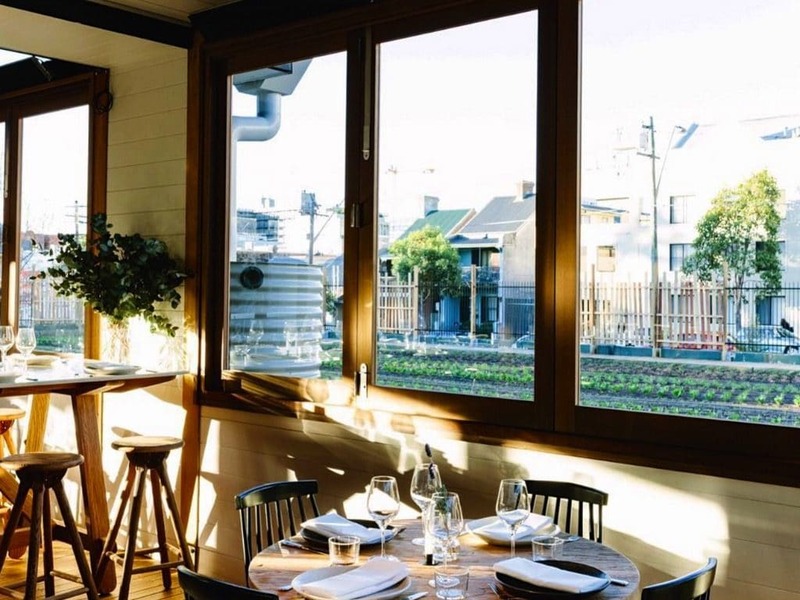 We also sell directly to Acre, the restaurant at Camperdown Commons, where they use our produce in their menu, and to a couple of local co-ops on occasion, including Ooooby and The Local’s Market. 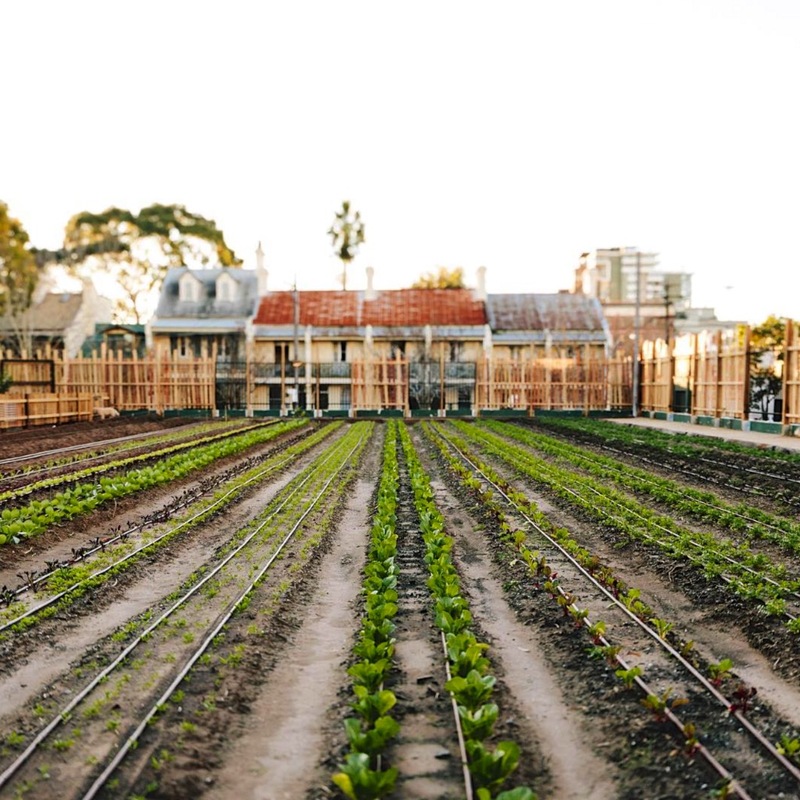 I know the long-term goals of Pocket City Farms involves multiple sites around Sydney, all growing good food – can you tell us a bit about how you see it all working? 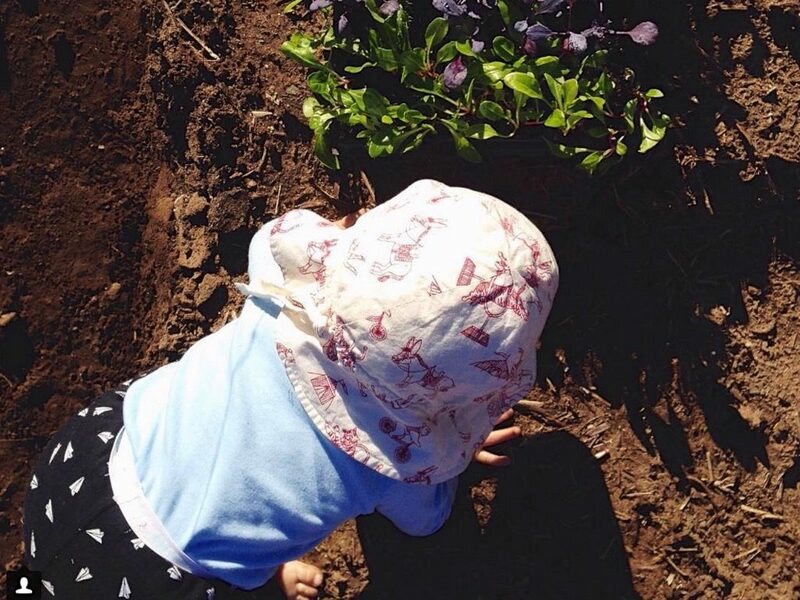 Yep our hope is to develop into multiple sites, ideally across various communities in Sydney! 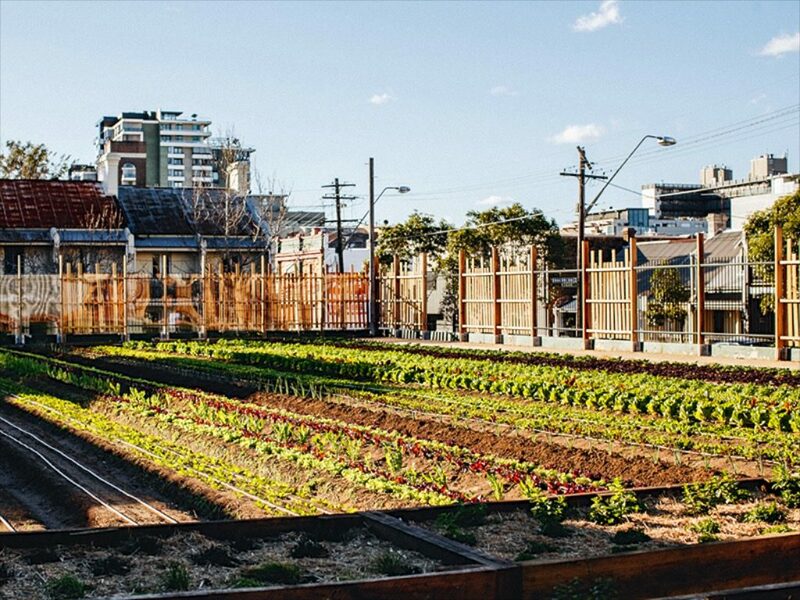 Urban farms are a potential way to turn unused spaces into productive green areas for community to interact with, learn from and breathe better from – why stop at just one? 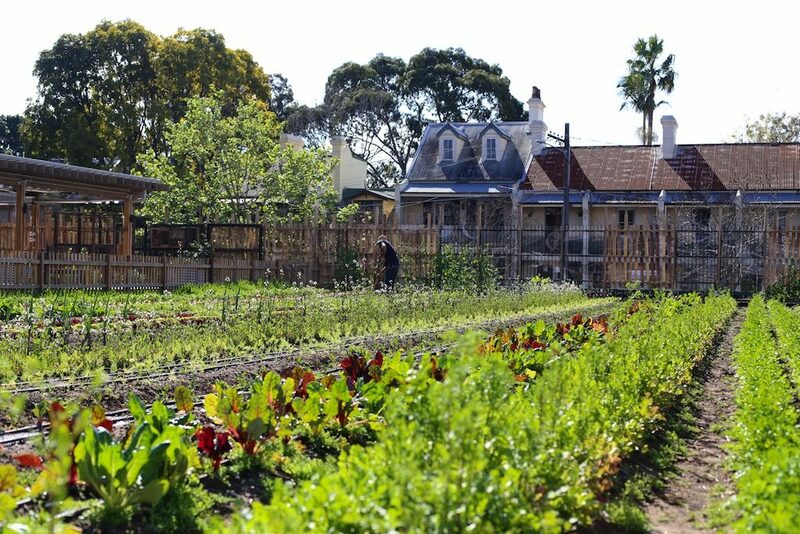 Basically, why not – the more food growing in the city, the more people are exposed to food production, the more jobs we hope to be able to create for other urban farmers, the more productive green space in our cities, more biodiversity, and so on. 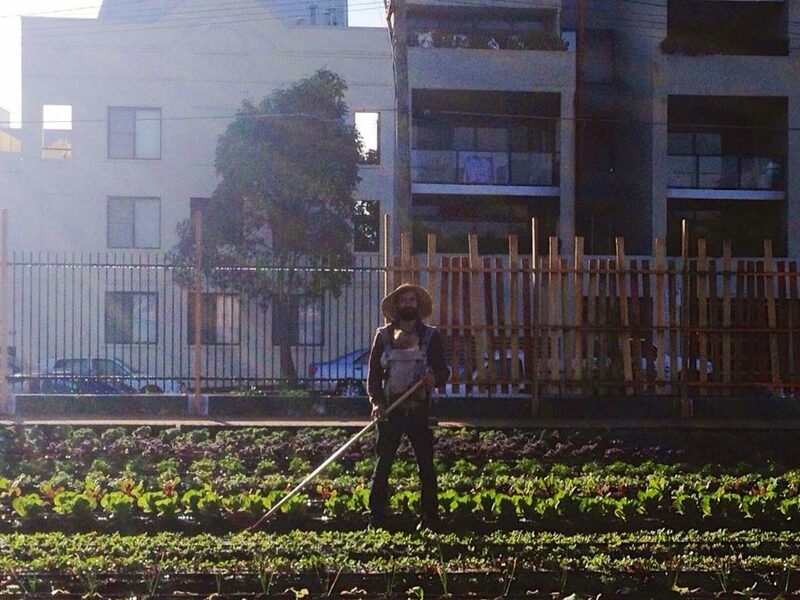 Top three tools for urban farming? Mailchimp/Facebook/Instagram for communicating each week with the community (especially to invite and coordinate our wonderful community volunteers). 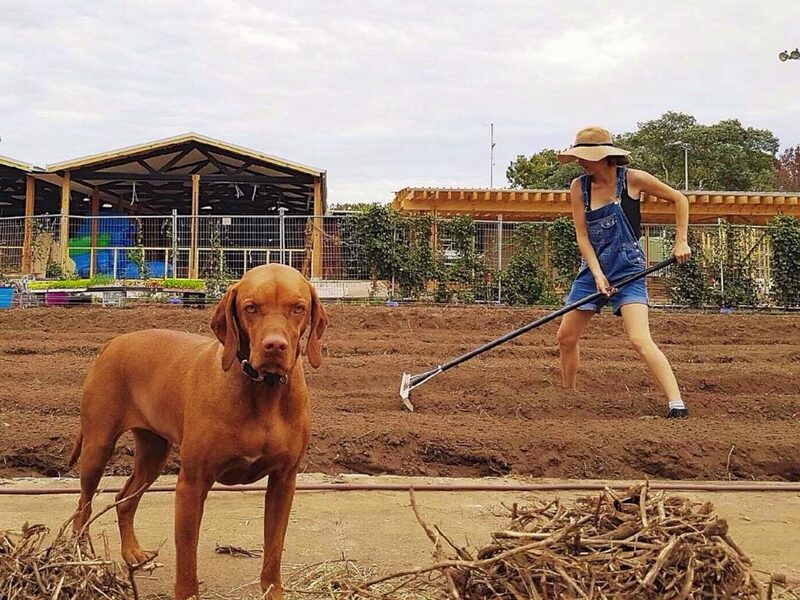 Any advice for would-be urban farmers? Be adaptable to the spaces you come across and figure out a way to use it. 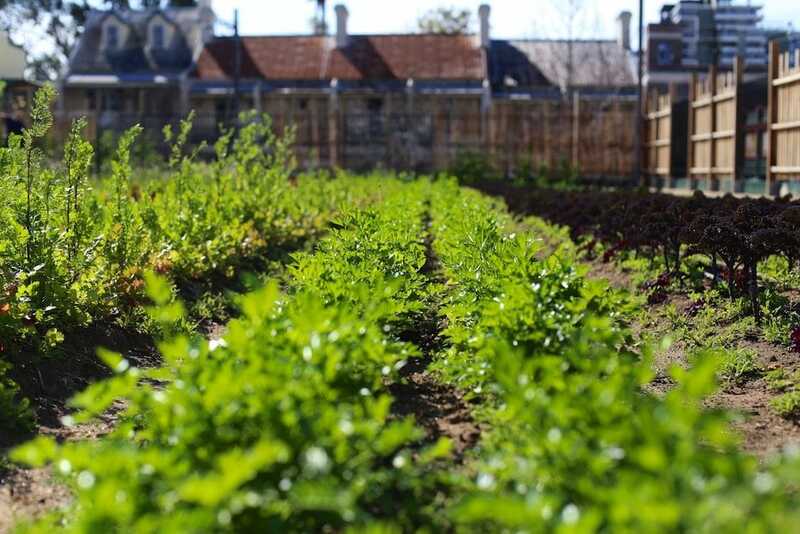 We anticipate our farms will use one of three different models, depending on the space – traditional in-ground as with our Camperdown farm, a green roof system for unused roof spaces, and we are currently developing a portable system that we hope to use for shorter terms spaces. Get your local council onboard, as well as the local community. 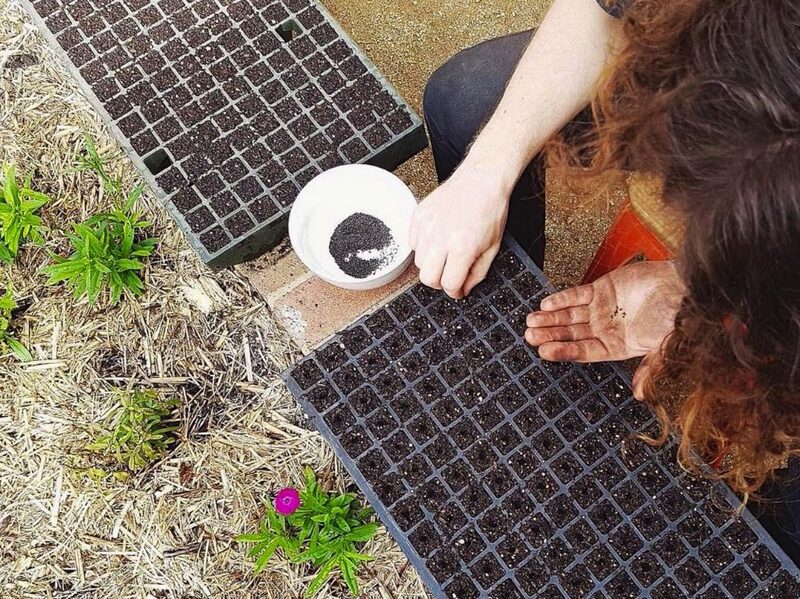 And test your soil – make sure its super safe for growing food in! 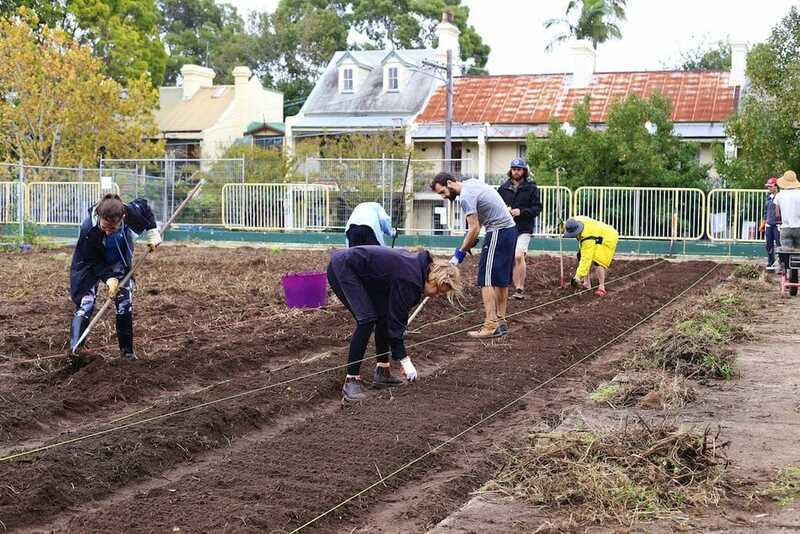 Live in inner west Sydney and want to get involved? 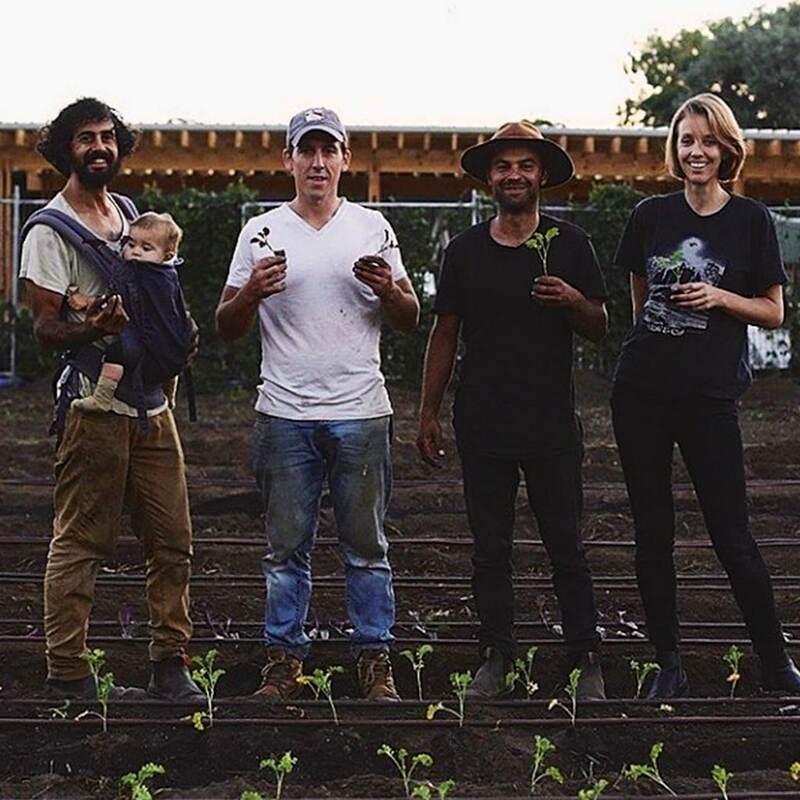 Ditch the gym and become a Pocket City Farms volunteer instead – its free, organic, zero waste and results in good clean food being grown. 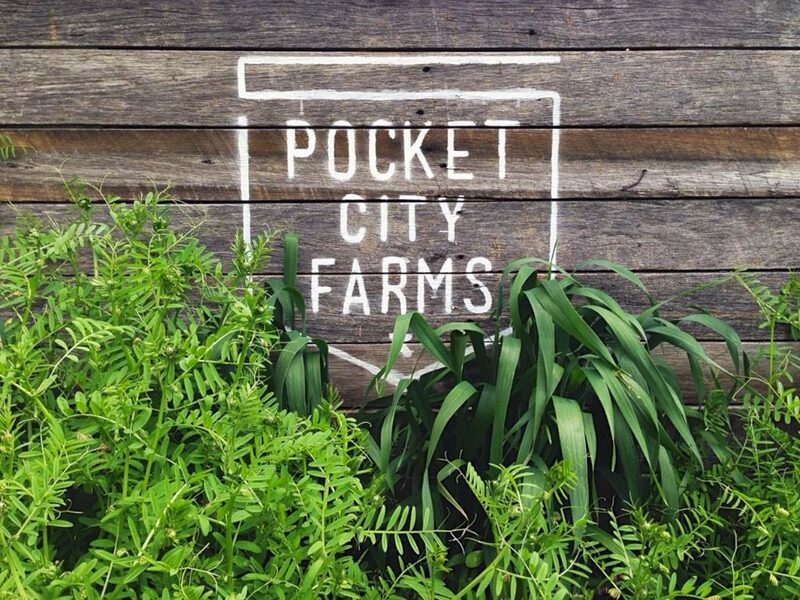 Pocket City Farms also host food growing workshops + yoga, and have a cracker Instagram feed for regular doses of city farming goodness. 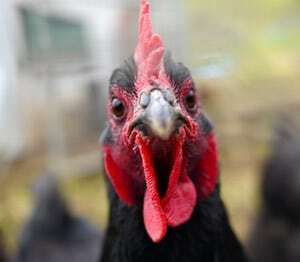 Their farm gate stall is currently open on Saturdays. 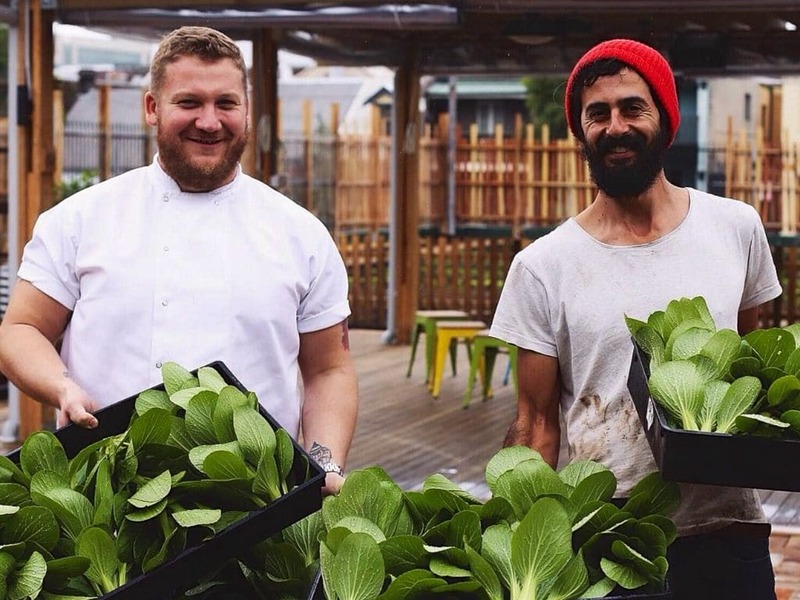 Acre Eatery have a container kitchen open daily and an eatery open Wed-Sun. 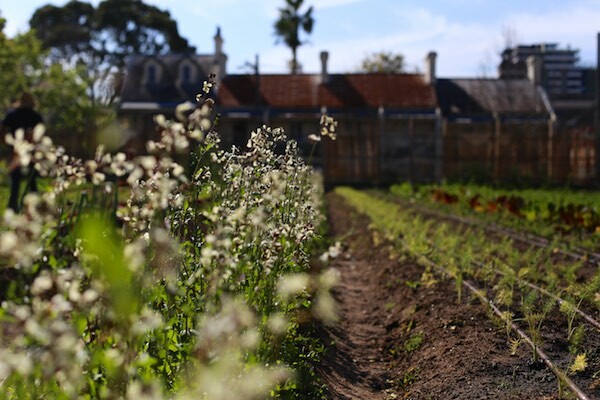 Lastly, here’s a video of Pocket City Farms with Costa on Gardening Australia, discussing community, intercropping, and the whole ‘patch to plate’ shebang. 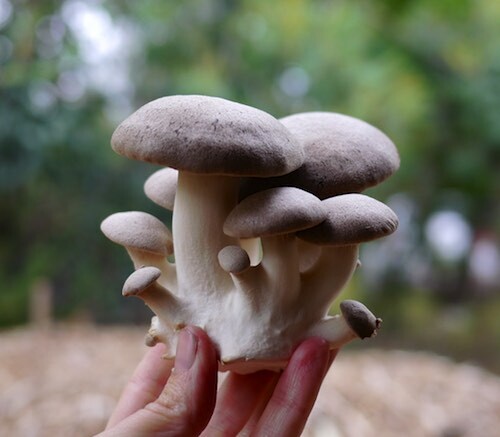 All pics by Pocket City Farms – thanks guys! 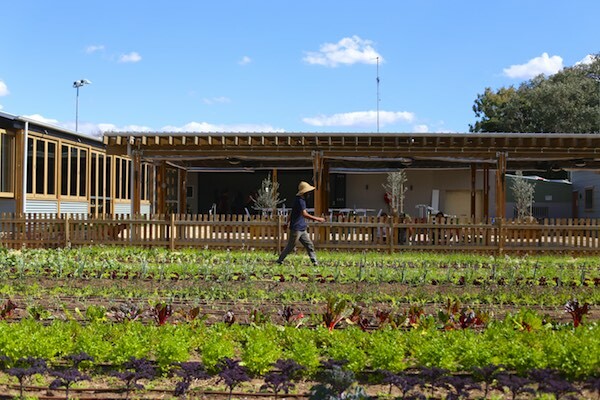 Want to learn to design food producing systems, enterprises for community resilience and/or a deeply excellent organic integrated small farm plan? 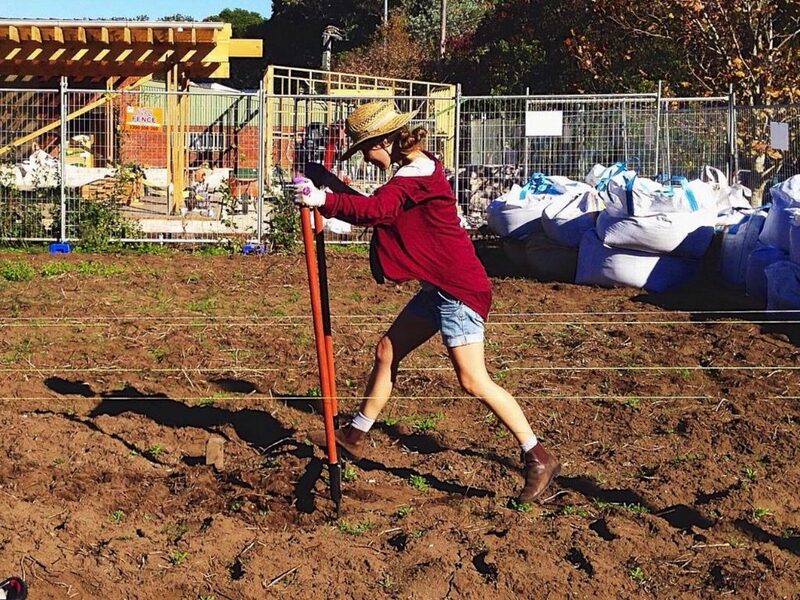 Our Permaculture Design Certificate will get you* jump-started and inspired. 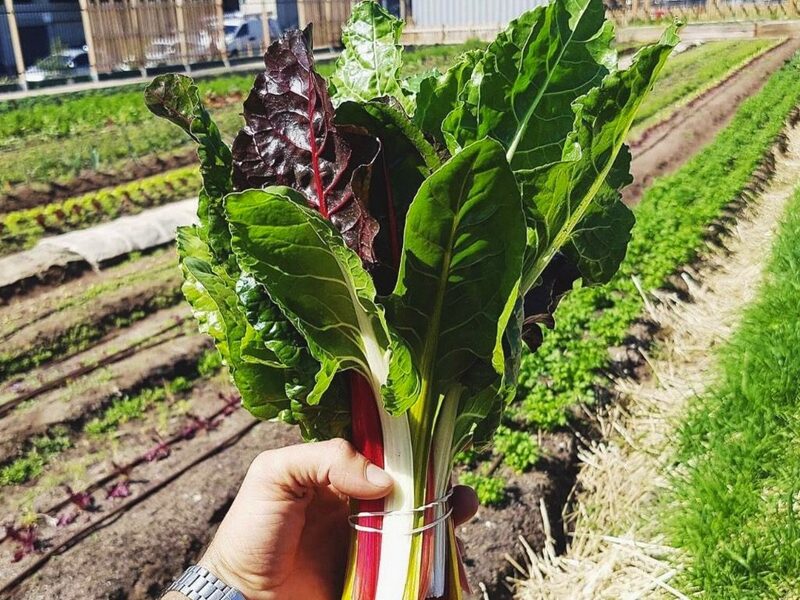 *(just like it did for Zag + Emma of Pocket City Farms, though we certainly don’t claim to be the the source of their awesomeness. But still, it’s true that some very cool people do this excellent course with us, and great friendships and alliances are always formed). 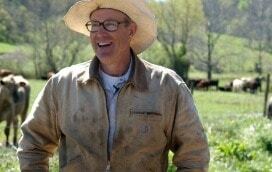 So just how relevant or valuable IS an American farmer like Joel . .
I’ve loved watching this gorgeous story evolve. Such great stuff!